Great quality, heavy duty recycling bins. 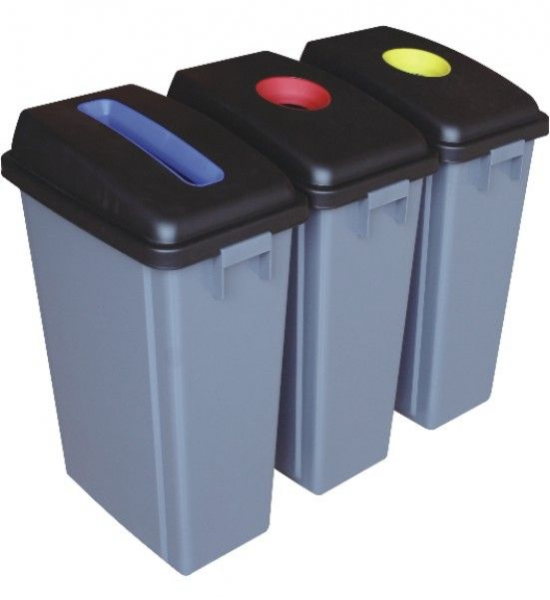 These 60 lt bins are available in either a set of 2 or a set of 3. The set of 3 measures 74 x 45 x 98 cm. The round lid holes are coloured red and yellow and the rectangular lid hole is coloured blue. These bins carry a 1 year warranty against defects.